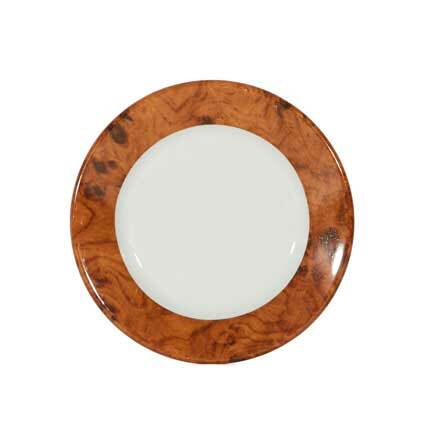 White plate with rich wood look border. This small plate measures 7.5" across. This plate is generally used as a side plate for bread or dessert. This product is the perfect complement to many of our tablecloths and accessories.